So I want to formally apologize for the quietness on the blog lately. I have been wanting to write but at the same time wanting to write something that was worth my tiny space on the internet…. Luke & I attended a life group at our church awhile back. It was with some really good friends and a couple that we looked to as mentors. They are not only successful in business but also in life. 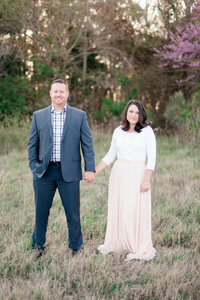 Their marriage and family life are a testimony of God’s promises to those who love and serve him. The life group we attended was for married couples and talked about marriage building. The husband is a general contractor and has built many homes. He is precise when it comes to planning and building. They both have a passion for marriages and their life group was on marriage and the parallel between building a strong marriage and building a strong house/structure. One of the first things we discussed and one of the most important things was foundation. Having a strong foundation is key to building a strong house as well as a strong marriage. When it comes to business the same thing can be said. When Luke & I first started this venture we were not thinking of foundation. We were just thinking of a way to keep our head above waters! However, now almost 4 years into this I think we have built a solid foundation and now we can begin to plan bigger things and add on to our structure. Although, we didn’t start out with a mission statement or statement of beliefs I think it is best to have them from the beginning. Having a mission statement keeps you from veering off focus as well as keeps you grounded. Our mission is to give, for giving is what we do best and we can always learn to do better. We will strive to give our best to not only our clients but also to each other as a family and those around us. We want our children to know the joy that comes from a life of giving and we choose to be that example. When coming up with our mission statement we had to go back to our greatest strengths and where our heart is. Yes we love taking pretty pictures and creating beautiful art. But why do we do it? It all comes down to giving. We love giving ourselves in this manner. We love giving more than just a pretty picture. We love giving an experience and a relationship. We feel that photography is just an open door to find ways to serve others. And this is what our foundation is based on. 1. Know what you believe. As Christians we know that this business is not our own. We are just stewards over what God has given us. Because we believe this, we run our business in such a way. What do you believe? 2. What is the why? Why are you doing what you are doing? Why are you staying up late at night watching youtube videos and creative live to better your business? Why are you giving your time to this? Your time is valuable and you must know why. Knowing the why will keep you from burning out. We do what we do for our kids. We are striving to build something up for them that will be able to invest into them in the future. Vision is so important! Not only do you have to focus on the now…. but you need to have vision for the future. What are your dreams for your business? These goals will give you hope for the future. And hope always makes for a good foundation. I saved this one for last because I want to dwell on this for a minute. Everyone is different. Everyone has different beginnings. We are not all the same. So don’t compare your business to others. It is okay to learn and glean from those who are successful but dare to be different and innovative. Comparison will crack your foundation. It might not show in the beginning but it will eventually get worse and worse until things begin to crumble. So don’t do it!!! You have so much to offer. I always tell myself that there is only one Jasmine Star, there is only one Katelyn James and you know what…. there is only one Luke & Ashley!!! And there is only one of you! So again dare to be different!